tags: take a ride on the wild side. Three brothers - Marshall, Marty and Mark dream of becoming naturalists and portraying animal life of America. One summer their dream comes true, they travel through America, filming alligators, bears and moose. This is the fact-based story of three brothers who grew up to be some of the foremost animal photographers in the world. The story follows their wild summer when their parents permitted them to roam America with a camera they bought by borrowing money from their father. "Wild America" is definitely not a great film, but it's okay. There are some interesting moments, but I found that the over-bearing sentimentality and cuteness mixed with adult content -- adult to a certain degree -- to be confusing. One tends to wonder if the film is adult, or family. Things are thrown around too much. First it's adult subject matter, then it's a broken heart moment filled with overly-sentimental acting. 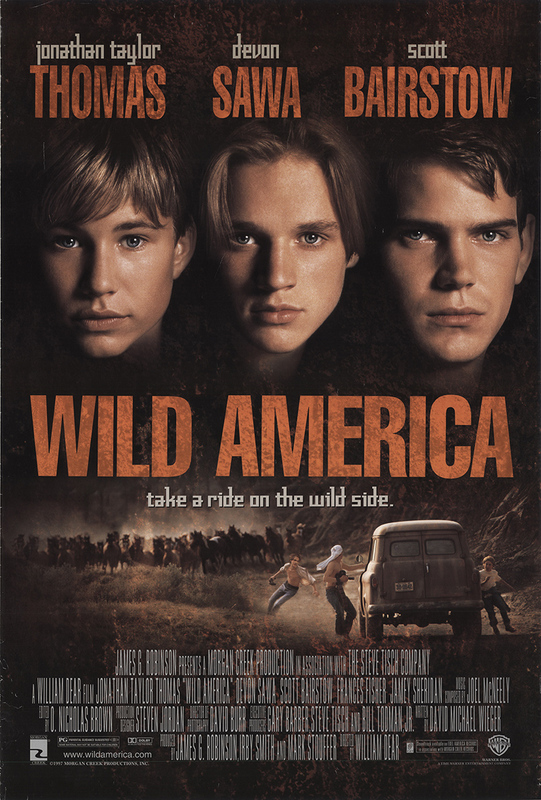 "Wild America" fills my list of "family films that couldn't decide to be adult or not".